While cars have gotten much safer over the years in terms of protection, there is still little to protect you from other drivers. In the event of an accident, even a little fender bender, it’s easy to miss important details that could prove vital in an insurance claim. We could all use a little more peace of mind in that regard, and that’s exactly what Conbrov hopes to bring you with their T17 Car Dash Cam. 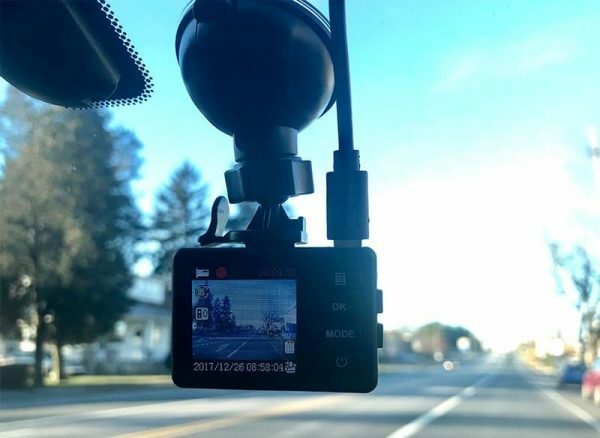 The Conbrov Car Dash Cam is a tiny HD video recorder that can be easily secured to the windshield of your car for recording events and details while driving. It automatically records while your car is running and could provide vital proof in the event of an insurance claim or if you like to record yourself on off-road adventures. It’s like a little spy camera. Everything you need … except an SD card! Let me start by saying this camera is tiny. 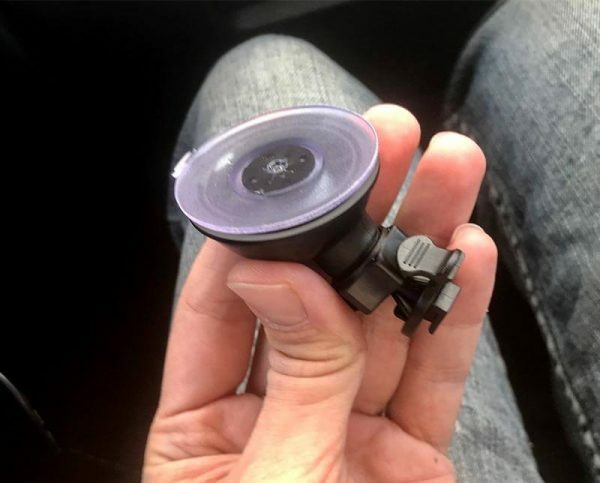 Conbrov claims it’s the smallest dash cam in the world, which always seems to be a haughty claim, but they might be right in this instance. This allows the camera to be positioned in an area that’s out of direct sight from the driver, namely obscured by the rear view mirror, and that’s great for reducing distractions from a tiny, floating rectangle while driving at night. Installation and usage are straightforward, as seen below. 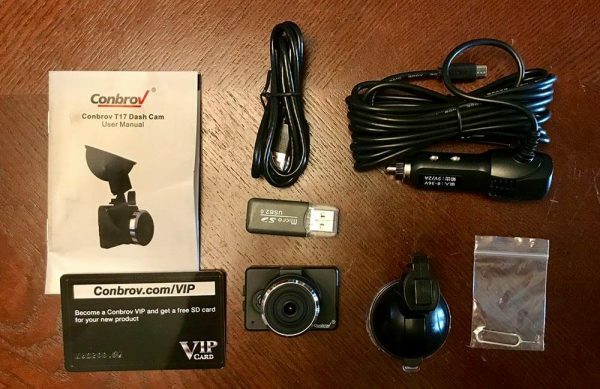 The Conbrov Dash Cam was very simple to set up. Handy little suction cup stayed on tight. Once I found a spot on my windshield that was just out of my field of vision (I placed it so that it was mostly obscured by my rear view mirror). 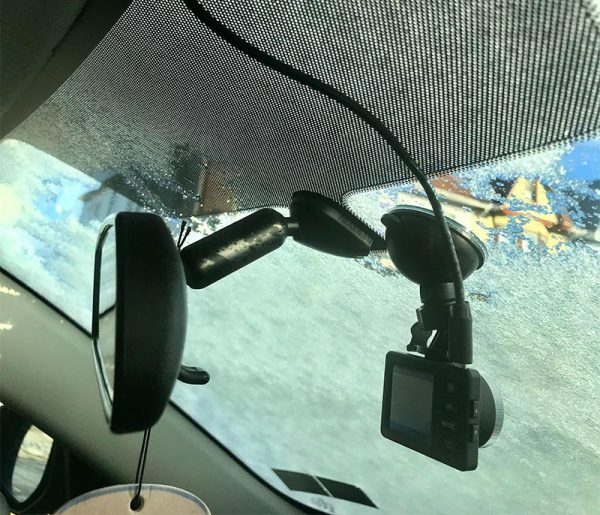 I secured the suction cup bracket, attached the camera, plugged in the charger and ran the lengthy cable from the passenger side floor, up the side of the door, and around the edge of the windshield to obscure it from sight. 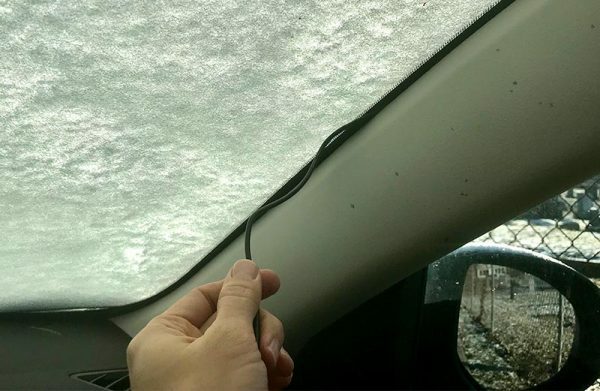 The wire wedged nicely into the plastic around the windshield, but your milage may vary. Once the cable was plugged in, I turned on the car and the camera turned on as well and instantly started recording. The supplied adapter includes a nice USB throughput so you can continue to use it with other devices. 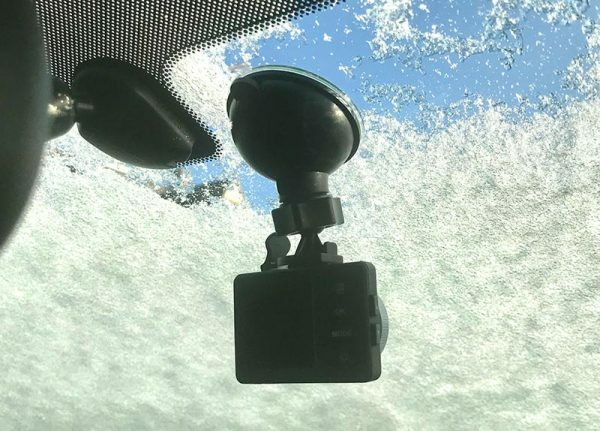 The thing about a dash cam is that, like most safety features on your car, you don’t really actively use it unless you have to, and you hope that you never have to. Once I had the camera in place, I didn’t touch it, save for checking out the footage that I had recorded. It was easy enough to forget about completely while in use. More on that point, it’s entirely hands-off. 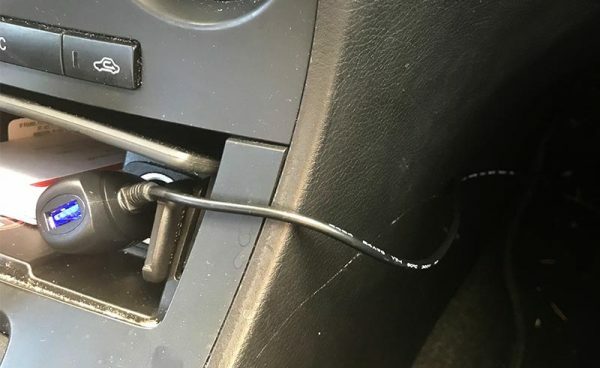 Once you start your car, the camera recognizes the power source and begins to record immediately. When you turn your car off, the camera continues to record for a set time (1 minute default, adjustable in the settings) and turns off. While it does have a still camera setting, and you could use it like a pocket-sized video camera, the size and interface aren’t very practical for that purpose. It’s perfect for what it was meant for, a constant recording device that sees what you’re seeing behind the wheel, providing proof in the event of something eventful. It never takes its eye off the road. The camera features an adjustable loop recording feature. You can select the length of the recordings in the settings, in 1, 2, 5 and 10-minute increments. The loop recording basically means that it creates video files until the SD card is filled and then starts overwriting the oldest file. The size of the SD card determines how long the videos are archived. For instance, the video files at full resolution took up about 800MB on average for a 5-minute clip. Given that, the oldest record on my 16GB SD card was about an hour and a half of drive time. Fortunately, the camera features a G-lock setting which detects sudden stops, such as in an accident, and automatically “locks” the currently recording video. This prevents accidental deletion or overwriting of that important video file. One note: I found that a lot of the videos were locking themselves, which means the were not being overwritten and my card was filling up. I can’t figure out if it was because of the G-lock system being a little too finicky, so I ended up turning that setting off. Below are two examples of day and night recordings. The camera was set to 1080p resolution and highest quality. While reviewing the videos, I found the quality slightly lacking. It’ll do just fine for recording the cause of an accident in front of the car, but if you’re looking to capture something like the license plate of a hit-and-run vehicle, or any car that’s further than 20 feet away, that might prove difficult. Overall, it gets the job done. The night mode was pretty decent. 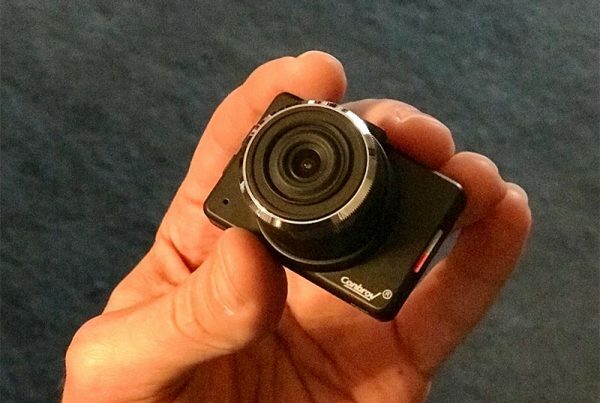 I was impressed with the Conbrov Dash Cam’s simple set-and-forget functionality. Thought it might not be the sharpest camera, its size and cost are very well suited for those looking for a little extra protection on the road. Source: The sample of this product was provided by Conbrov. In California, devices like this can not be fastened to the windshield. How could this be used there? Good question! 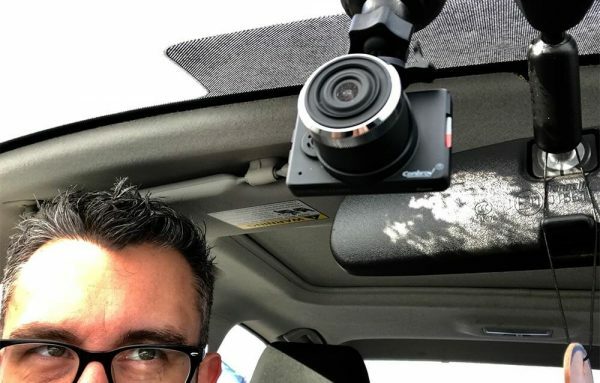 I did a little searching since I was unfamiliar with that rule, and it seems like there are small areas of the windshield that are legal to mount dash cams. So while they will be more obvious, it seems like most models could fit in those bottom corners. And it also sounds like something a cop would only peg you for if he was really grumpy that day! I definitely would not buy this product. Quality not good enough.